Register now for Association of Professional Genealogists (APG) Professional Management Conference 2013. The deadline for registration discounts is this Friday, February 15, 2013. A $25 late registration fee applies afterwards. 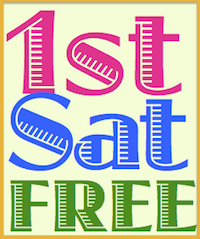 Attendance at is open to members and non-members. Attendees may choose to attend the full conference or a single day. The APG conference precedes RootsTech. 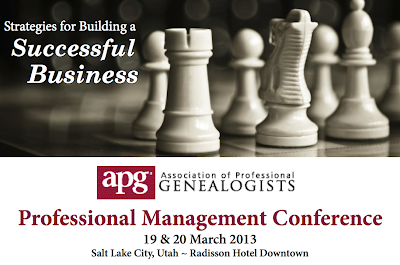 APG will also hold at reception and roundtable from 6:30–8:30 p.m. on Wednesday, March 20, 2013, which is open to members and non-members.